Seychelles Top Things to do and to see on Mahé island. What to do when on holiday in the Seychelles? The Seychelles is by far one of the most breath taking tropical islands in the world but today we would like to take you on a tour which will include the Seychelles beaches and the activities to do on the island of Mahé. Leave a lasting impression on others when in the Seychelles. Read our Chalets Anse Forbans blog on Helping the less fortunate in the Seychelles. Why not hire a boat via one of the Seychelles Boat Charters on Mahe to experience a full day dive or snorkelling trip around Mahé, Praslin and La Digue or why not try a number of dive courses and dive excursions, including live aboard trips. This is a great way to explore some of the outer island around Mahe that make up the 115 Islands of the Seychelles. Day Trips to the islands like Praslin and La Digue are also possible. If you fancy a nice thrill of winning some money while on holiday in the Seychelles then try one of the local casinos. The closest casino to Chalets d’ Anse Forbans would be the Amusement Centre which has some 200 slot machines as well as a fully licensed bar. You can relax and enjoy the gaming or watch many others enjoying themselves while having an exotic cocktail. If the night life is something you would like to try out when in the Seychelles then you would need to make a visit to Katiolo. Katiolo, is an unique open-air nightclub on Mahé it offers its varied clientele evenings of enjoyment with a distinctly Creole touch and a lively ambiance. Katiolo is about 10 minutes drive from the Seychelles International airport. Why not go out and catch your own fish and come back to your beach villa to have a great BBQ. Whether you fancy big game fishing or deep sea fishing the choice is yours with local Seychelles operators happy to assist you. Mahe also has some wonderful spots for fly fishing or why not just take a fishing rod on the beach sit back relax, sip your Seybrew and watch the sunset.Read Our Latest blog on Fishing in the Seychelles and what you could hope to catch! This must be one of our highly recommended excursions- a glass bottom boat trip in the St Anne National Marine Park. You get to snorkel with the fish and feed them as well. Do not forget to bring along some bread. If you are an avid golf fanatic then the Seychelles Golf Club which is a nine-hole course built on a old coconut plantation, would be part of your agenda for your holidays in the Seychelles. The course is situated at Anse aux Pins just off the road leading to the Reef Estate. This is approximately 15 minutes from the Seychelles Airport. Praslin also has its own Golf Course. View our Blog on Golf in the Seychelles. Why not try a Horse Riding while on your holiday in Seychelles. Enjoy Mahé’s west coast - Barbarons and Grand Anse area on an Arabian horse. The stables are close to Le Meriden Barbarons hotel. 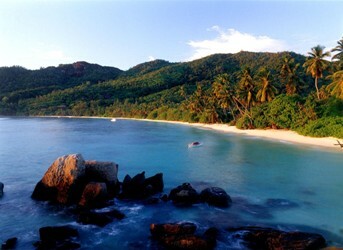 Further information on our Seychelles Blog what to do in the Seychelles. THIS IS CURRENTLY CLOSED UNTIL FURTHER NOTICE. A diversity of walks with different degrees of endurance are available and do enquire with Chalets d’ Anse Forbans for further information. You can also obtain individual trail brochures produced by the Seychelles Ministry of Environment which can be purchased at the Antigone book store in Victoria and at the Seychelles Botanical Garden situated about 10 minute walk from Victoria. Guided tours are also available at Jardin du Roi. Beau Vallon beach hosts a two different companies that offer motorised as well as non-motorised watersport equipment including pedaloes, canoes, windsurfs and sailing equipment. The local artists are so inspired by the local Seychelles beauty you will be lost in time as you see the diversity on offer. One of the most famous artists Michael Adams who has his studio at Baie Lazare, which is about 15 minutes from Chalets d’ Anse Forbans, is well worth a trip. Why not enjoy a trip to Tom Bowers Sculpture Studio and view his wall mounting in our reception area. Read more about Tom Bowers on our Chalets Anse Forbans Seychelles Holiday Blog. The famous Jardin du Roiis a great favourite with our guests. It is located in Anse Royale which is about 3 km away from Chalets d’ Anse Forbans. The spice gardens are a must see when in the Seychelles. Wonder around the tropical garden and smell the diverse scents of the Seychelles spices or else sit back and enjoy a creole meal in the lovely restaurant with fantastic view of Anse Royale Bay.See Chalets Anse Forbans blog for further information on Jardin du Roi in Anse Royale. Mission Lodge is another highly recommended spot to visit. Situated just below the summit of Sans Soucis, the Mission Lodge affords one of the most extraordinary views of Mahé’s west coast. A great blog post on the Mission in the Seychelles history. Port Launay Marine National Park is famous for its whale shark sightings. The reefs on both sides of the bay provide a wonderful opportunity to use your mask and snorkel. The Natural History Museum situated in Victoria has wonderful exhibitions that not only illustrate the flora, fauna and geological history of Seychelles, but also enlightened you to the major environmental concerns of the Seychelles Islands. 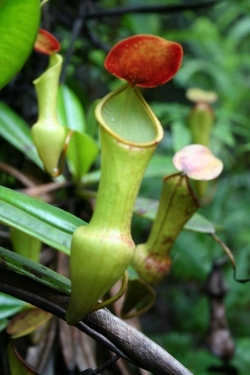 A brief blog on the Seychelles Natural History Museum. If you would like to learn more about the history of the Seychelles then the National Archives is the place to visit. The archives are located in the Seychelles National Library located in Victoria. Regular buses are available from Chalets d’ Anse Forbans to Victoria or else you can hire a car from Pirates car hire located at Chalets d’ Anse Forbans to enjoy the day in Victoria. Patrimwann is the marketing umbrella-name that encompasses four of Seychelles' cultural attractions that highlight the country's Kreol heritage. All of the Patrimwann attractions are located on the island of Mahé ranging about a 20 minute drive from Chalets d’ Anse Forbans. They include Kreol Institute, Domaine de Val des Près (Craft Village), La Bastille and the Ecomuseum (or Ecomusée La Planie St. Andre) which is currently under renovation. The word "Patrimwann" is a Kreol word meaning "Heritage Trail". The craft village hosts a number of small shops with curios. Worth a trip and a walk about. To really get a feel of the local culture then a visit to the colourful market situated in the heart of Victoria is a must. The SIR SELWYN SELWYN CLARKE MARKETwhich was built in 1840 and renovated in 1999, it remains the bustling heart of the capital Victoria and definitely the best place to buy fresh fruits, fish, vegetables and spices. You have to go to the market or else your trip in Seychelles is not complete. You can purchase items in the local Seychelles currency – Seychelles Rupees. Big Ben- Seychelles is famous for its own Big Ben. You will not miss it based in the centre of the Capital Victoria close to the Seychelles Post office. Your Seychelles holiday is not complete if you until you have a glimpse of the Big Ben! View our Short Guide on the Sights and Sounds of Victoria. 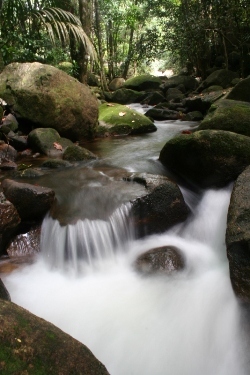 The most famous of the Nature reserves in the Seychelles has to be the Morne Seychellois Park. 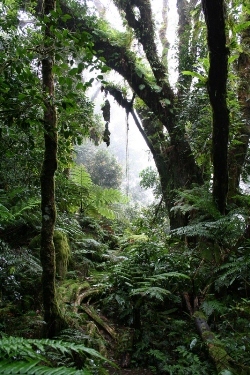 The Morne Seychellois Park is the largest in Seychelles and was created in 1979. It covers a total surface area of 3,045ha, more than 20% of the area of Mahé. It is 10km in length and between 2km and 4km wide and equipped with an extensively trail network covering more than 15km. A total of 12 different trails can be explored either by half or full day excursions. 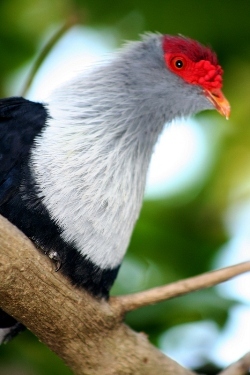 The Sanctuary is a great place to visit if you are interested in the Nature of the Seychelles. The Sanctuary is an artificial wetland site (2.9 ha) resulting from reclamation work done on the east coast of Mahé in 1986.The Seychelles Sanctuary also boasts an information kiosk and a bird hide for the twin purpose of providing information and a good view of the wetlands faunal and floral spectacles. This would be a must on your list when on holiday in the Seychelles. Established in 1962, the factory is responsible for growing and manufacturing tea in the Seychelles. The Tea Factory enjoys a splendid view of the western slopes of Mahé and is undoubtedly one of the finest viewing points on the island. View our Seychelles Blog on the Seychelles Tea Factory. Botanical gardens in Victoria a great place for a picnic and walk around to see the local flora and fauna of the Seychelles.You can also see the famous giant Seychelles tortoises, the most fruitful coco de mer tree, Seychelles Birds, 50 different species of palm trees as well as a collection of fruit trees and so much more...Click Our Seychelles blog for more information on the Seychelles National botantical gardens. If you are interested in surfing in the Seychelles then our blog on Surfing in the Seychelles will be able to provide you further information. Seychelles is made up of over 115 different islands and each is unique in its own right. Most of the clients at Chalets d’ Anse Forbans do a day trip excursion to Praslin and La Digue where they are able to take in all the sites including the famous Vallei de Mer on Praslin and the most photographed beach of Source d’ Argent on La Digue. You can either fly with Air Seychelles or take a boat trip across to Praslin and then onto La Digue. If you enjoy tasting exotic foods when you travel then you need to experience the local creole cusine. The closest Creole Restuarant to Chalets d' Anse Forbans would be Sufers Resturant and Take away followed by Le Reduit Resturant. But Chalets d' Anse Forbans can also organise to have a local chef* cook for you in your chalet. * Subject to availability. View our blog for further information on Resturants in Seychelles. 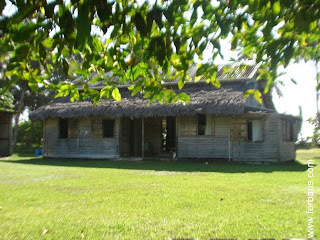 View our blog posts on the Traditional home alongside Chalets d' Anse Forbans that belongs to our Grandmere. Traditional Homes of the Seychelles Blog post. Well it is truly fascinating to know that our Grandmere's home still offers visitors to the Seychelles island this bygone era of Seychelles Architecture. 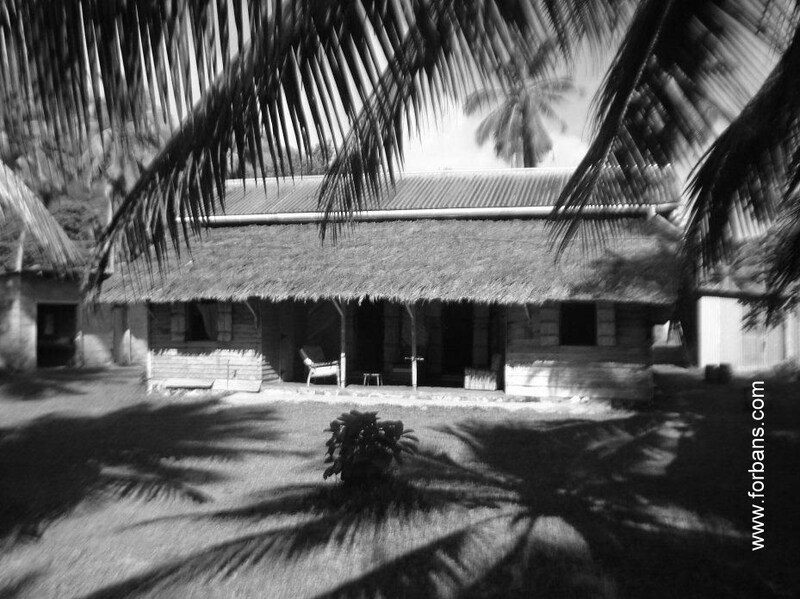 The extraordinarily Seychelles home of our Grandmere is built on the beach of Anse Forbans alongside Chalets d' Anse Forbans and was built between 1938 and 1940 by the current owners' father Francois Jumeau. Francois built a simple beach bungalow so he could come and visit his brother from time to time who stayed on the plot of land toward the small bay of Anse Marie Louise (alongside Chalets d' Anse Forbans). The position of the Seychelles house was built in the centre of the valley so that the cool winds would blow down the valley through the house allowing no need for further ventilation. And believe me it really works this home never feels warm. So much thought and planning went into the homes built during this time versus today. The beach house was never meant to be a full time residence as the family home was at Anse La Mouche and the family would merely come to Anse Forbans for picnics and family get together. Over time the home underwent renovations: rooms where added, the original roof which was made from latinier (palm fonds) was replaced with roof sheeting due to the cost of the latinier. Image left: The view of the house from the road side of Anse Forbans is the back of the house while the front of the house overlooks the bay of Anse Forbans. The house has no glass windows but rather shutters that lock from the inside. Two veranda's surround the house one in the front and one on the road side. The main portion of the house has wooden floors and a high ceiling. This Creole style home is one of the last remaining Creole homes built in the early 1900's and is a natural heritage for the Seychelles.